Trick or treat? 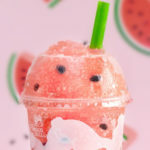 It's all treats with this candy-filled dessert! Halloween parties are fun no matter what age you are. But let’s face it: At some point you outgrow the crushed Oreo “dirt cups” and need Halloween party snacks that feel a little bit more grown-up. That’s where this candy corn surprise cake comes in! The PureWow version is great if you’re in a hurry because it calls for a box cake mix as opposed to making the fluffy layers from scratch. Yellow and orange food coloring will allow you to fashion your cake to look like a piece of candy corn, which only makes cutting into this dessert more fun! The best part of this cake is the “surprise” factor, of course. 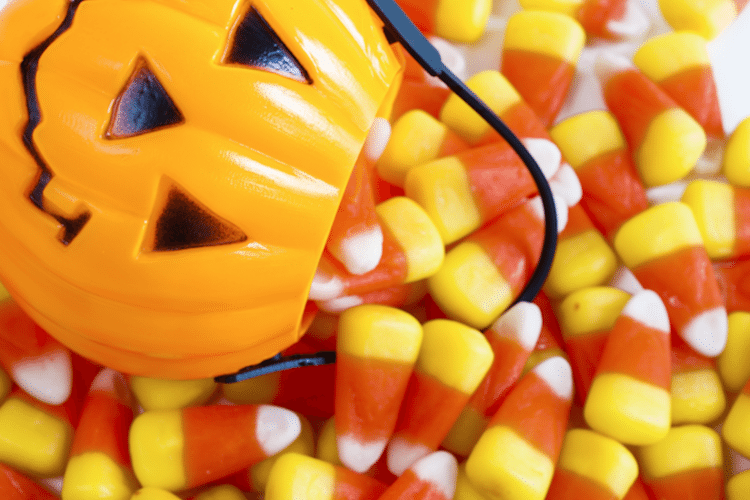 Empty your candy corns into the center of this cake so that when you cut into it, they all spill out. 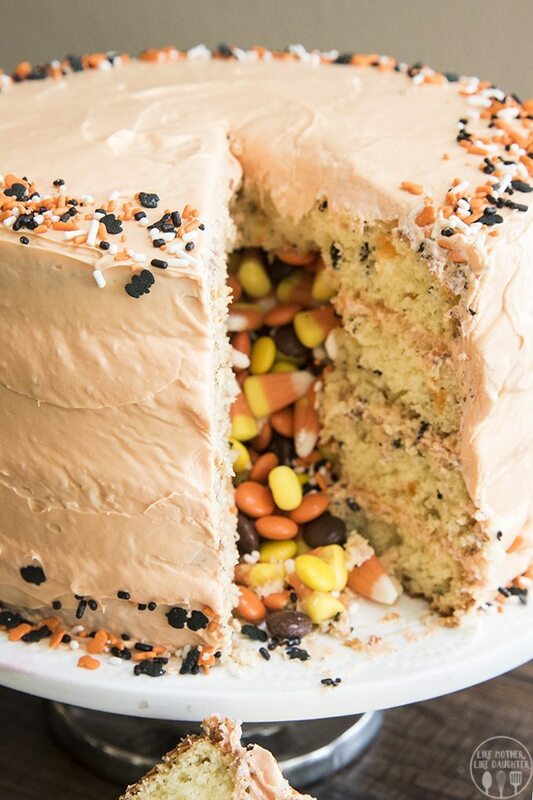 It’s easier than you might think to fill this cake with the candy corn, too. Simply using a cookie cutter or a knife to create round holes into the layers of cake will allow you to pour the candy right in. Trick or treat? This cake offers a little trickery, but it’s mostly filled with treats! There are plenty of other versions of surprise cakes, too. For instance, this recipe from Like Mother Like Daughter suggests suggests using M&Ms or sprinkles as other options for filling. 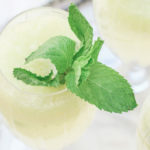 And if you ask us, this could be a great dessert to use up some of that post-Halloween leftover candy, too! 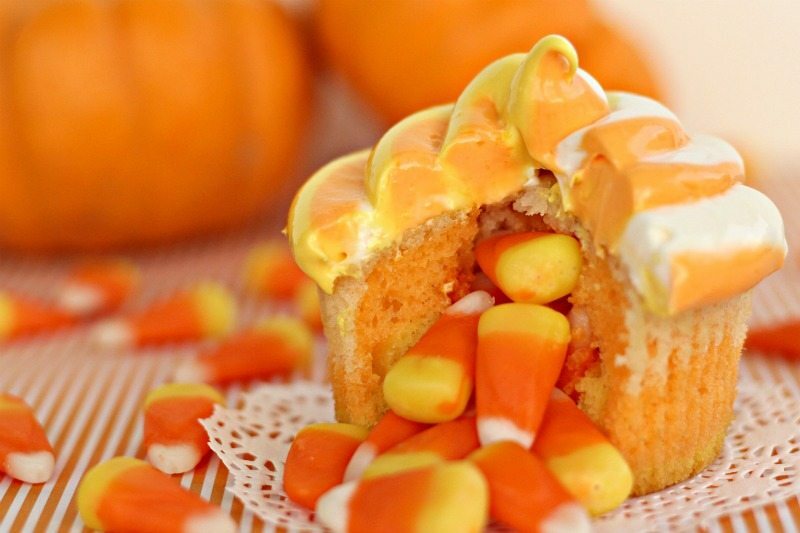 You can also make candy corn surprise cakes in miniature form by doing cupcakes instead. This time, you can use a cupcake corer to make a hole where you can insert the candy of your choice. 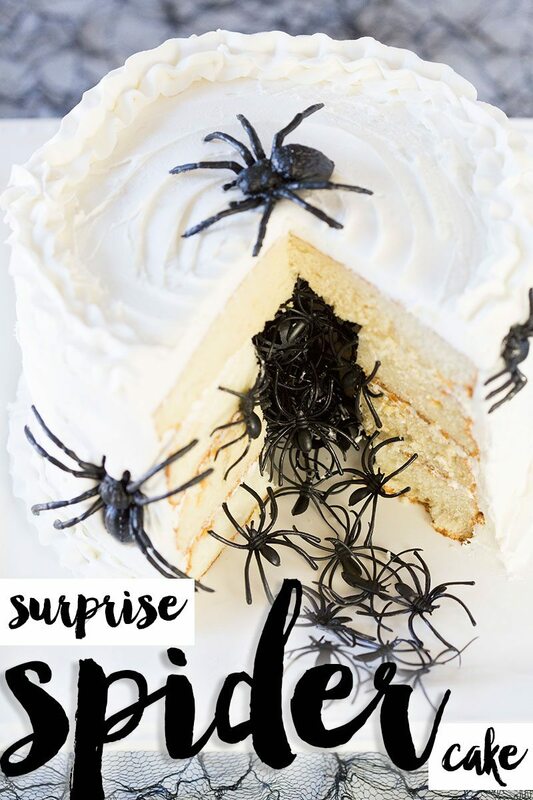 You could always go a spookier route: This recipe from Pizzazzerie features plastic spiders in the center of the cake instead of candy, and that’s definitely going to give your guests a fright. Just don’t eat the plastic spiders, OK? No matter how “scary” you want your dessert to be, surprise cakes are a great option for Halloween! 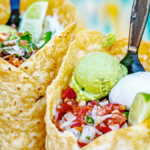 Now that you’ve got these recipes at your disposal, get ready to bake something delicious to serve on Oct. 31.